At the moment, the market of Robotic Vacuum Cleaner is a mess. 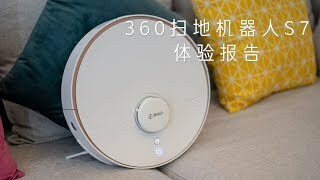 Xiaomi released two new products in early 2019: Mi Robot 1S and the RoboRock T6 in the pipeline, whereby the manufacturer 360 Mobiles (parent company Qihoo 360) obviously feels incited. The Chinese company became known for its production of budget smartphones and surveillance cameras, and with the 360 S6, 360 Mobiles was even able to compete with the RoboRock S50 with its first suction robot. The intelligence of the sweeping robot is mainly embodied in that it can complete the cleaning task independently by relying on navigation technology. Xiaomi Mijia Robot 1S, RoboRock T6 and 360S7 all adopt the most advanced laser navigation technology compared with the random collision navigation technology or gyroscope inertial navigation technology used by traditional sweeping robots. It not only fundamentally avoids the damage of the machine to itself and furniture in the process of cleaning, but also solves the leakage situation of the sweeping robot. Now the manufacturer is bringing the 360 S7 to market, at that time the robot was software-based on the top models even for a few months in advance. The S7 also has the strong features of the newly announced Xiaomi models, but why should you choose this model? The 360 S5 also brought a few innovations, but less on the software side. Qihoo’s new top model is definitely the S7. If the new features work as they should, the S7 plays a major role in the fight for the suction robot throne. The predecessor already brought the card storage with it when its competitors Ecovacs, iRobot (Maybe you are interested in seeing iRobot Roomba 529) and Xiaomi were still working on it. Now the new model will even be able to store multiple maps of multiple floors, including no-go zones. The two new Xiaomi models also have this feature, but the unique selling point of the S7 is the targeted use of the wipe function. So you can specify in the app on the created map which rooms the robot should wipe wet and which not. In terms of design, not much has changed, the laser distance sensor (LDS) has moved to the centre front, as is already the case with the S5. On the S6, this was still at the rear end. The pictures published so far show an orange or pink border under the flap on the upper side, otherwise the air filters on the rear edge were changed and parked. Extremely practical: The S7 detects carpets when using the wipe function and does not drive on them. Thus the carpets remain dry, if it works well in practice. It remains to be seen how much pressure the robot can exert on the floor (which the manually wiping person regulates with force), but otherwise the wiping function sounds very exciting. With an operating volume of 50 dB at the lowest suction level (silent mode), the robot is indeed very quiet, but at the higher suction levels it will also reach a volume of 65 dB. The S7 overcomes obstacles up to a height of 2 cm, so most door thresholds should be no problem. For owners of the predecessor S6: Accessories and spare parts will also fit on the S7. There is still no hundred percent guarantee for that, but there is much to be said for it. However, this does not apply to the 0.57 l dust chamber, as it has grown considerably compared to the S6. There are also dust chambers with a potential capacity of 0.9L, but 0.57L are also sufficient for more intensive cleaning. Depending upon pollution degree of the floor space one must empty these then only after each cleaning, but not during a passage. The attentive reader will notice: “I only recently read these new features in the Mi Robot 1S and RoboRock T6”. Exactly. Except for optimizations of the wipe function you will have to take a closer look to find differences. How well the app and the individual features work in practice will then have to be seen in the test phases. But one thing is certain: the competition will have to keep an eye on the 360 S7. In the internal shop of Qihoo, the robot can already be purchased for $279.99. It won’t be long before the 360 S7 will be listed and available in the shops that are also accessible and known to us. The price will then in all probability also be higher, with over $300 one will already have to reckon on the release date. It is not difficult to see that 360 S7 has obvious advantages in both performance and price in the current mainstream sweeping robots, so for people who want to completely liberate themselves in cleaning and sanitation, this cost-effective device is undoubtedly the best choice in 2019.